Early this morning we hooked up the big trailer, loaded up Chandler, one of the horses from the last auction rescue, to take him to his new home. Tawnee had on a big coat that made her look so little, it was funny. 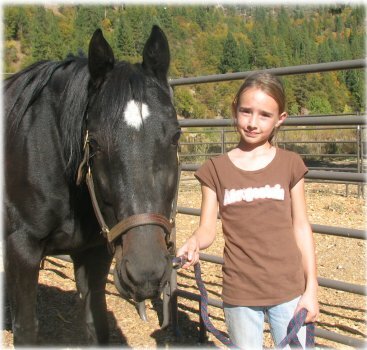 After Chandler’s adoption, it would be off to rescue some horribly abused horses discussed in a previous blog entry. Click here. 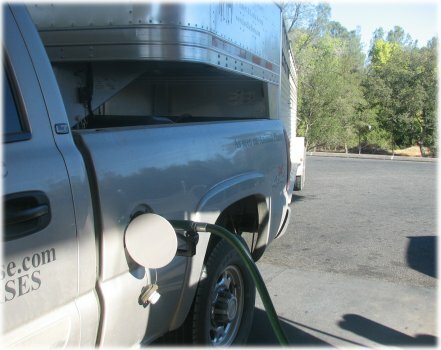 First off the ever hungry truck was filled, it’s nice that it no longer takes $100 to fill the truck, diesel is down to $3.34 a gallon today. Then it was up what used to be beautiful hwy 70. Now it is burnt to a crisp from one end of the canyon to the other. 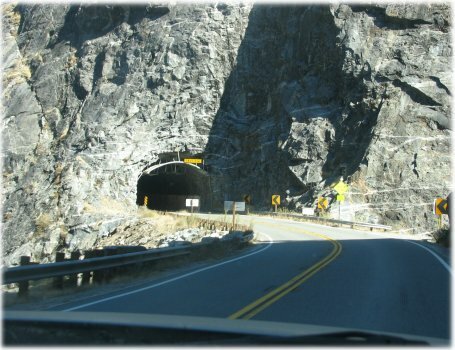 Fortunately, rocks don’t burn, and the tunnels are still so much fun to drive through. This tunnel was seen in a movie, click here for more info. 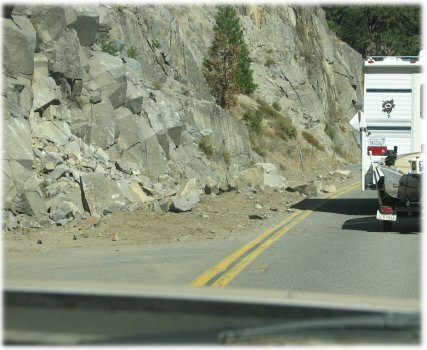 And of course there was the mandatory rock slide in the canyon. This one engulfed the entire lane on the other side of the road. We hope that no one was hurt. Chandler got to meet his new best friend. This little girl is so happy with him. Chandler you be a good boy for this sweet little girl and remember that you are much bigger then she is. 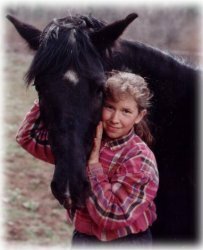 It really brought back fond memories from when Tawnee got her first horse, also black. They look pretty similar. 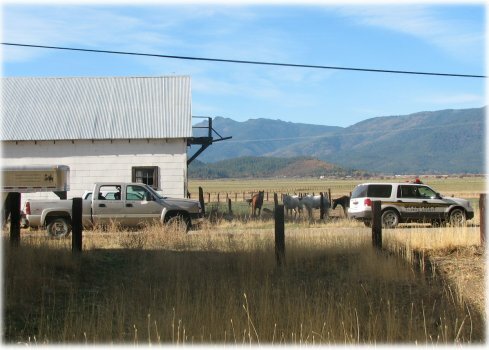 Then it was off to rescue the 7 horses, on the way there we drove past Alex’s home. He was adopted on the 4th of July. He is looking great and looks like a fuzzy teddy bear with his winter coat. 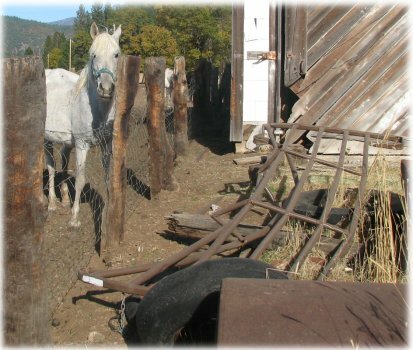 When we all got to the old ranch, we got a good look at the terrible conditions of the horses we were there to rescue. It was nice to have a Sheriff standby in case things got ugly. The owner never showed herself and appeared to be gone, so that was nice. 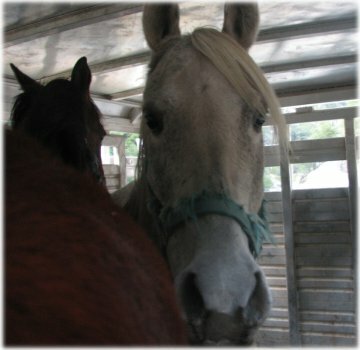 To make matters worse, the foal to this white mare seen in the previous blog, got sold after she signed her over to us. The county investigator knows the buyer of the foal, and is giving us their contact information so we can ensure the foal has a good and proper home, and adoption contracts must be signed and followed. Some people just don’t think. When you sign a horse over, you don’t go and sell it. They used to hang horse thieves. We found the stallion, locked in this tiny 6×8 stall, with deplorable conditions. 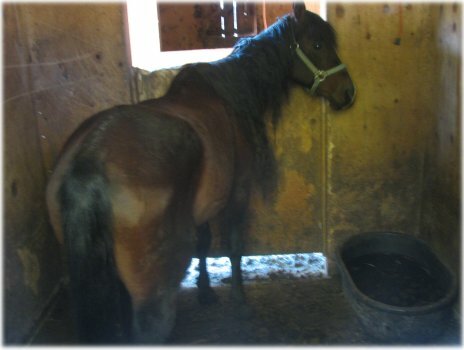 The smell was terrible, his mane matted as if no one had ever cared for him. He had been living in this stall for months, maybe years. 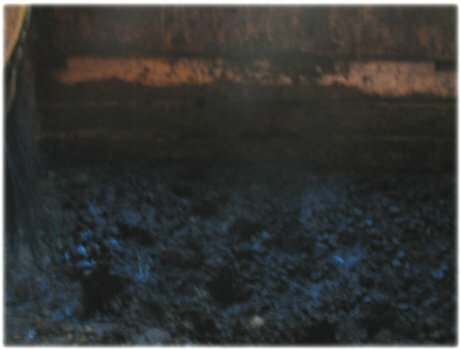 The flooring was broken, rotten & slick boards, covered with deep manure. It was a terribly sad sight all around. His water trough didn’t look like it had been cleaned in who knows how long. 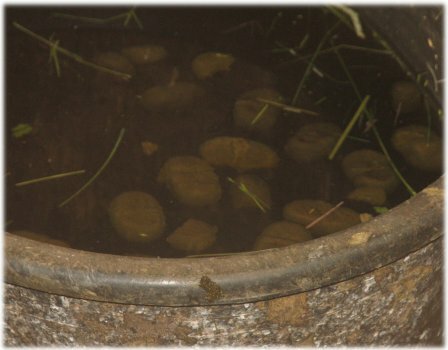 Manure was floating throughout the brown scummy water. This guy was lucky though, he actually had water to drink, as some of the horses had dry troughs. 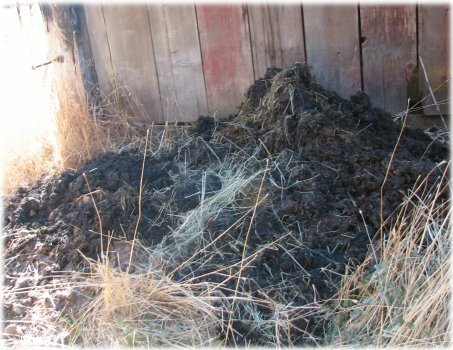 Need to clean a stall? Just dump the poop out the window. This was all freshly piled there, as the lady knew we were coming today she probably wanted to clean up a little. 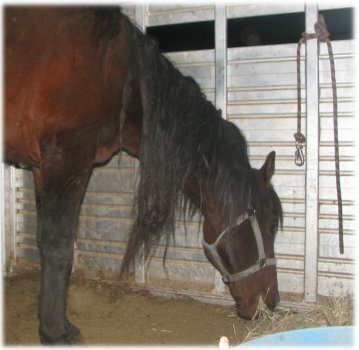 This means the stallion’s living conditions were even worse just a few days ago. 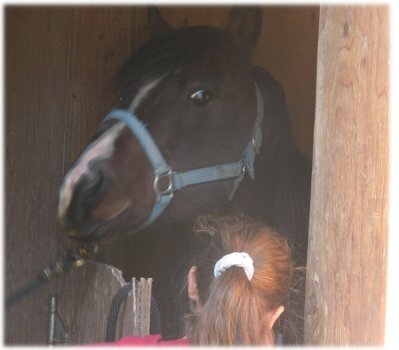 For his safety and the safety of others, he was sedated before being removed from his stall. Then he was led away from that torture chamber forever into the sun light. 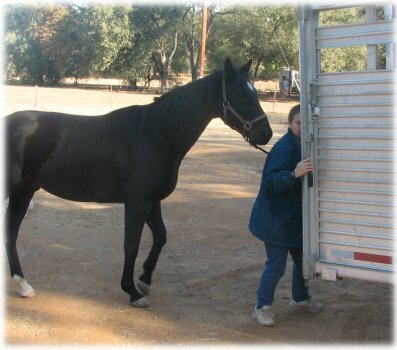 He was loaded safely into the trailer and placed into his own 8×8 stall. It’s sad that the horse trailer stall was larger than the one he had been living in for so long. 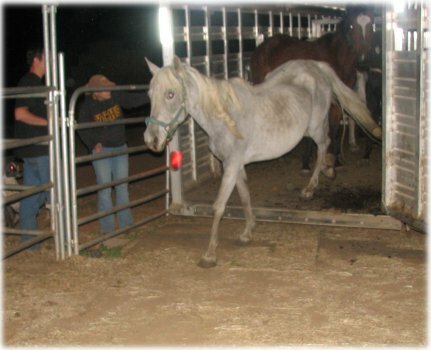 Then it was on to load all the other poor horses that were surrendered to us. 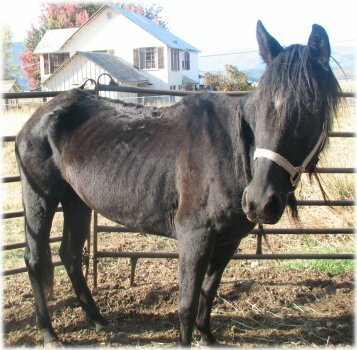 It’s so sad, this horse is around 3-4 years old, no horse should ever be seen like this, but especially a young one. 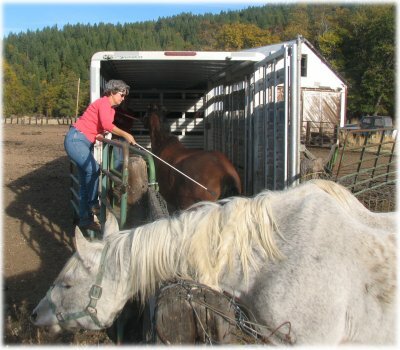 As they received very minimal handling, most of them had never been in a trailer before in their life. Many were not even halter trained. The few that did have halters on, had been wearing them so long the halters were literally rotting off their faces. dry twig. 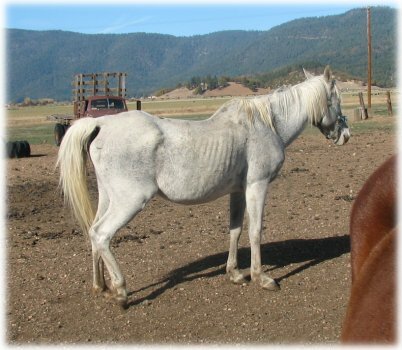 That is how starving and emaciated these horses are. Anything looks good to them! All safe in the trailer at last! 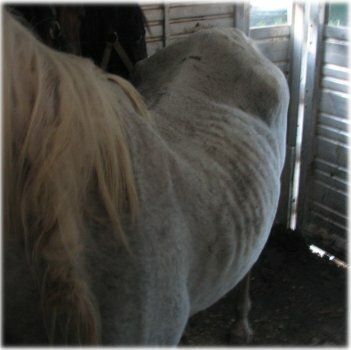 It really breaks our hearts to see these horses in such terrible conditions. Ever since 2005 we have been worried about them, it is so nice that they are finally out of there and safe. It so sad they had to be in this condition before something could be done about it. 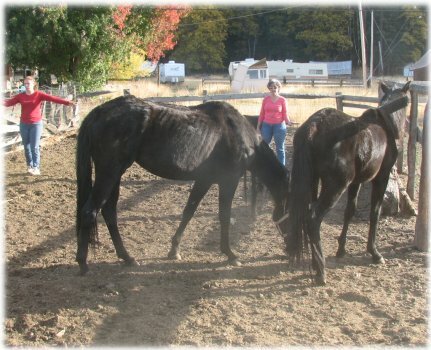 We absolutely need financial support to care for these horses just to get them up to a level where they can even begin to look for a forever home. As you can imagine, they are emaciated, their hooves are in terrible condition, they are full of parasites, and they need a lot of love, food and care. Please make a donation if you possibly can, please make a memo on your donation for the “Lucky 7” group. Please click here to make a donation. We arrived back at the rescue long after dark. Brianna, who had been working in the office, had to hang out long enough to see the new rescues. We have done the easy part, now the long road to rehab is starting. The stallion is spending the night in his new, improved larger quarters until daylight. We opened up another divider so now he has a 8 x 16 stall to rest comfortably in. He probably feels like he is living in a palace. A few people voiced concerns about us leaving stallions in the trailer overnight. Our trailer is huge, they are untied, and have fresh food and water, and they have their own stalls. 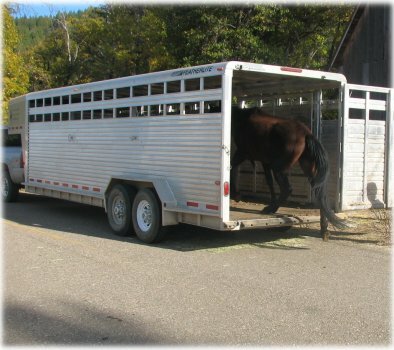 If you think about it, if we unloaded a stallion in the dark, that stallion could get loose, run through the fences, breed the mares, and cause utter chaos until we may be able to catch him, it is far better to stay safely in his own stall in our trailer until daylight. If anyone is interested in adopting this poor guy, please let us know. He obviously would need to be gelded. He has been used as a breeding stallion, so he will still have a lot of testosterone running through his veins for many months after being gelded. Anyone want to tackle that matted mane? 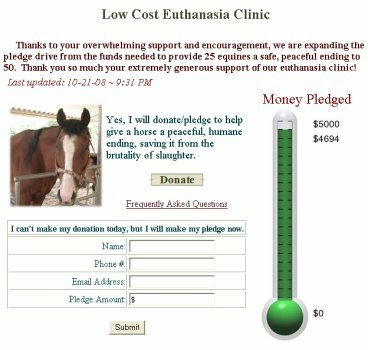 We are almost to the big $5,000 mark for the euthanasia clinic! Thank you so much for your generous donations, they truly mean a lot. 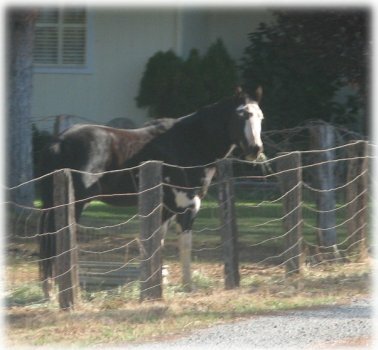 We have had some people wanting to sponsor the $25 fee per horse so owners can bring the horses for free. Their thoughts are: “People can give horses away to kb’s, why not make it so they can provide a loving end for free?” It sounds good to us. Thank you everyone for your great ideas and support. We have had dozens of requests inviting us to hold euthanasia clinics in their area, and to make this a monthly opportunity. We will do what we can! We have also been talking to the auction, who will be announcing the euthanasia and gelding clinics at the next horse sale. 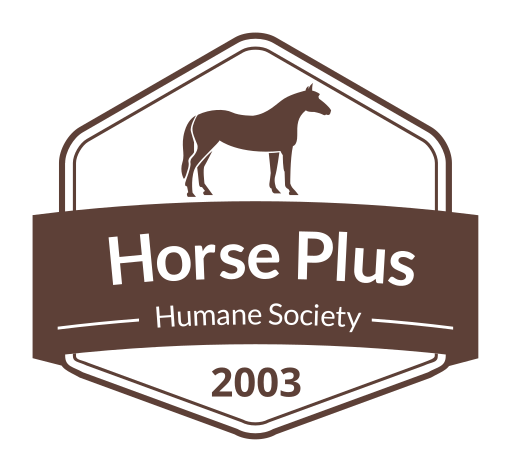 Horse owners may have the opportunity to just turn their horse over to be euthanized rather than running it through the sale. This is an opportunity to save the horses before the kb’s even have a chance to bid. Wow! We are hoping this becomes a reality. 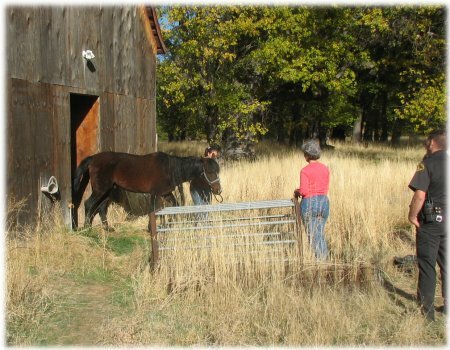 We would of course evaluate each horse for its potential of finding a new forever, loving home. Wow, those poor horses:-( and why does it have to take so long to save them once a complaint against an abuser has been made:-(You guys are just awesome! Will the woman who neglected the now LUCKY 7 be prosecuted? I hope so!